Avid have just released Pro Tools 12.6 Catch up on the details of whats new over on the Avid blog page here, the update is beginning to appear in user accounts who are signed up to a current Avid Update Plan, if its not showing up in yours yet be patient, as ever its a staggered roll out. Bear in mind this update requires a new ilok asset which will be deposited in your ilok account in due time as well. Do NOT attempt to update until you have verified that a new ilok asset has been deposited into your ilok account (for obvious reasons). As ever with all new updates if you want to be a trail blazer and update ASAP make sure you create a backup of your systems current state beforehand so that if it all goes wrong or you discover problems or bugs that you can't work around you can always roll back with minimal fuss. It goes without saying (but i'll say it anyway) don't update while in the middle of an important project, hold off until you have adequate down time to deal with any potential issues. Avid also have a licensing FAQ page that may help answer your questions, otherwise post them in the comments section below and we'll do our best to get you the info you need. Let us know how it goes for you, best o' luck ! 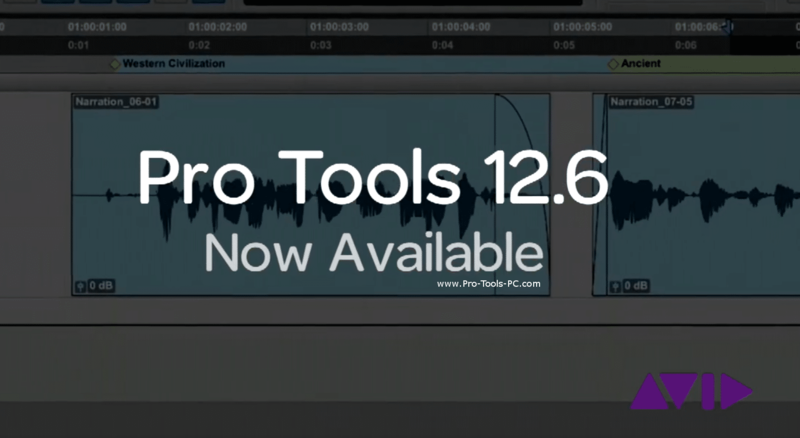 Posted in Discussion, News, Product Release, updates and tagged 12.6, Avid, Pro Tools, Update.